Justicia rizzinii has performed remarkably with almost no care in the dense shade of Oaks. Justicia rizzinii grows two to three feet tall and wide. In our garden a well established Justicia rizzinii received monthly watering through the summer when it started looking a little parched. 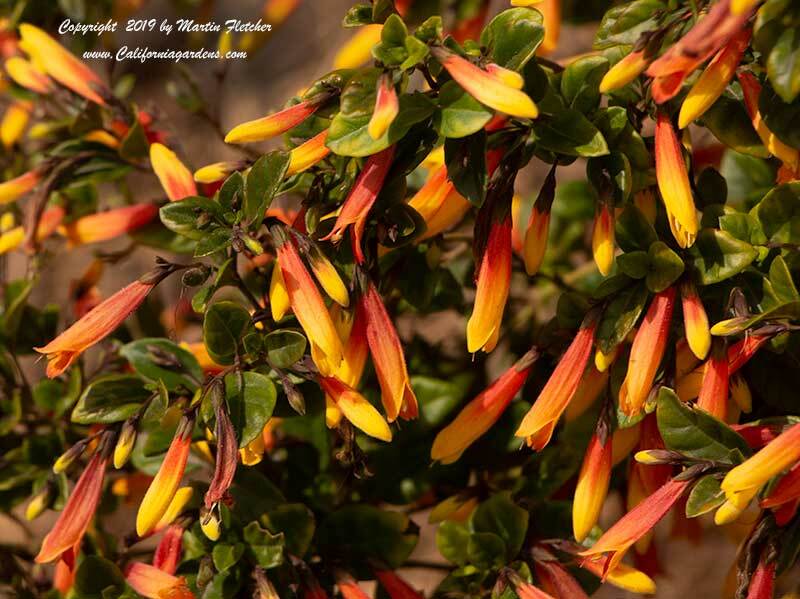 Justicia rizzinii puts on quite a show of these candy corn colored flowers in the Spring and then blooms sporadically through the Summer and Fall. Justicia rizzinii is Winter hardy at least through the mid to high teens. 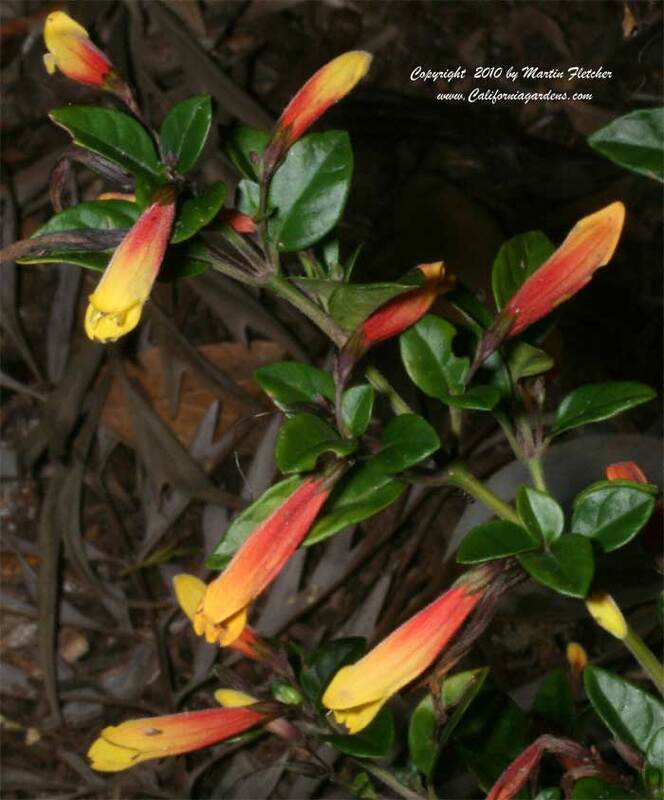 Yellow and red flowers and foliage of Justicia rizzinii - Firecracker Flower. High resolution photos are part of our garden image collection.